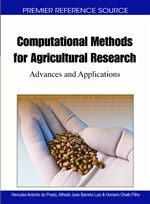 The present chapter provides a brief explanation on some aspects involved in the development of models and mathematical-modelling simulations, to show their benefits to the decision-making process in the environmental impact assessment of agriculture. Aspects concerning the agroecosystems were also presented toward the sustainability of Brazilian agricultural production systems. Some applications which have been developed in Brazil were pointed out, as well as a specific case study conducted at the Guarani aquifer recharge area located in Ribeirão Preto, São Paulo state, in order to show the influence of input data on the results provided by CMLS94 simulator. It is known that the globalization of the markets and, consequently, the of easy ways to obtain a wide variety of product options have shown that the agility in decision-making is the main factor in the quest for efficiency and quality competitiveness. However, the decision-making process involves both the acquisition of knowledge on a given problem and the prediction of risks and uncertainties associated with it. Thus, it requires prior knowledge of the main factors that represent the problem to be solved, as well as their interactions with other factors which could also influence them either positively or negatively. The advent of the internet and the facility to gain access in order to obtain and make information available almost instantly, increase the perception that people do not have enough knowledge about a particular problem, causing delays in the decision making process. The huge demand for details, the large amount of conflicting information available on web sites and the absence of a minimum well substantiated standard related to important aspects for the correct definition of a specific problem lead to errors in the model formulation, delays and decrease the choice of a most likely decision to succeed. Thus, it emerges the need for action planning for the appropriate management of activities, in order to face the need of knowledge of controllable factors and of risks. Tashizawa & Rezende (2000; pg 16) presented the action planning as “a method to prioritize activities in order to achieve a proposed objective and therefore a desired future.” For this reason, planning requires the availability, the organization and the speeding up of the information retrieval, as well as the use of agile methods to promote the integration of knowledge. It allows the analysis of elements that can interfere significantly in the decision-making process, which are present in the method of activities sort, making sure that the activity flows aligned with the objectives, even if problems occur during its implementation. When the focus of attention is on the background of the uncontrollable factors of the problem, i.e., on the “risk” of their occurrence, which is still doubtful, techniques of statistical inference and simulation systems become great allies. They encourage both the identification of the degree of perceived risk and the resulting evaluation of different possibilities to be investigated, although they must also be based on the known aspects. Considering that a real problem to be solved can be represented in all sorts of possibilities, there are different ways to design a model of a same situation, which are presented according to the goal and the particular view of the modeller (perception, intuition, technical and cultural knowledge and ability to rescue information in advance) about the actual exposition of risk in relation to future possibilities of consequences. For this reason the model will be capable of success or failure in finding solutions, as your modeller may overestimate or underestimate common risks. Therefore, to provide computer tools capable of well representing a real problem, it is required consistency and reliability of its models related to actual object of research, as well as the acquisition of safe input data, based on information and method of realistic perspective for its representation. Frequently, databases accessible through the internet make available the mean data values of simulator inputs such as soil characteristics and physicochemical properties of pesticides. It is important to notice that some data can vary in a wide range of values that may affect the mean data presented. In addition, some data can also vary according to local environmental factors. As a consequence, the use of mean data can produce simulation results quite different from those observed in actual experiments. Thus, it is important to properly understand each input of the simulator in order to know when it is possible, or not, to use mean values for data entry. It is also important to take into account that mathematical models and simulators need calibrations and validations, which are frequently not performed.